Produktinformationen "Beechcraft Super King Air B200 for P3D"
Our G1000 avionics retrofit gives you the latest in large-format glass-cockpit flight displays, easing pilot workload, all while passengers relax in a world-class cabin. 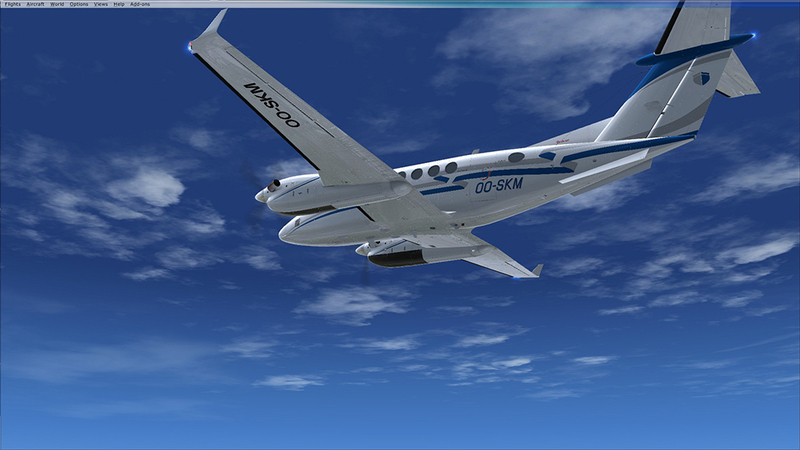 Flight One Software is proud to make available our authentic simulation of the Beechcraft King Air B200 for Microsoft Flight Simulator X and Lockheed Martin's Prepar3D! The twin-turboprop Beechcraft Super King Air 200 first flew on October 27, 1972 and received civil certification in December 1973. 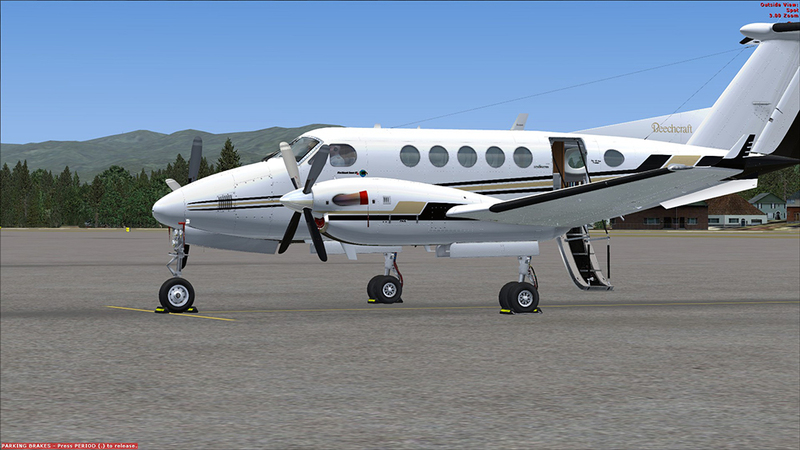 In continuous production since 1974, the Super King Air has outlasted virtually all other designs in its class. The B200 was introduced in 1981, and incorporated a number of changes to improve performance. The standard configuration of the B200 features an eight passenger cabin and seating for two in the cockpit. When equipped with a three-axis autopilot, the Super King Air B200 is fully certified to fly without a copilot. The Blackhawk Modifications XP52 Upgrade package, featuring Pratt & Whitney PT6A-52 engines, has been available since 2008. 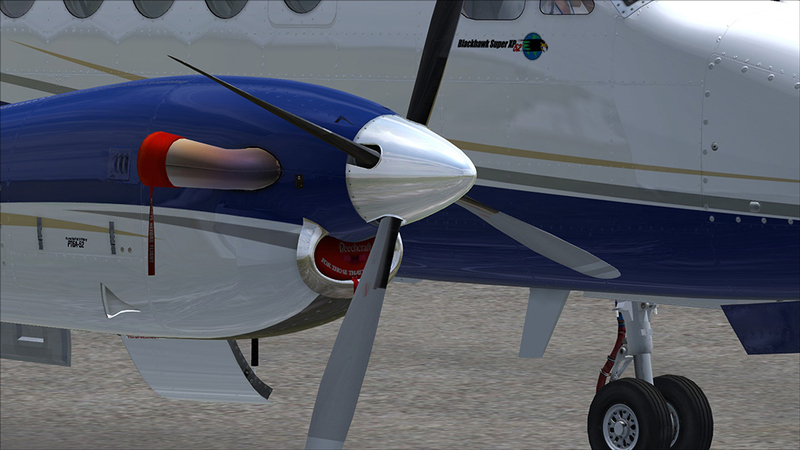 Without increasing weight, these engines use a larger compressor section to improve the efficiency of the PT6A design, resulting in a 275 horsepower increase over the -42 engines found on the stock B200. 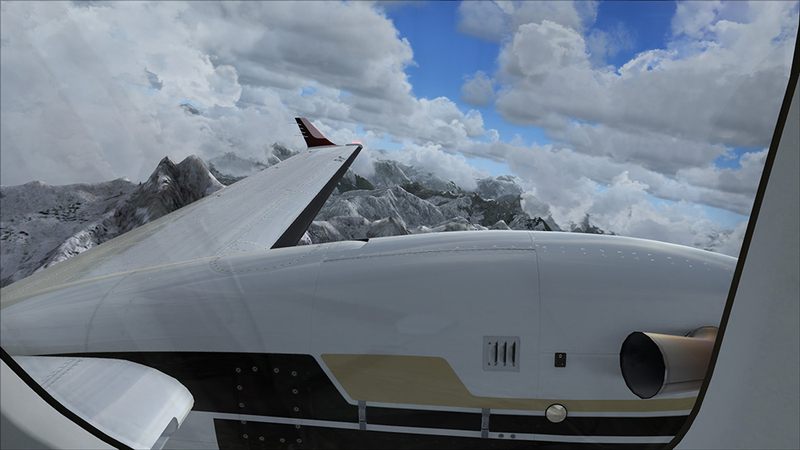 A Super King Air B200 equipped with the Blackhawk XP52 and Raisbeck EPIC packages will cruise at speeds in excess of 310 knots true and climb from sea level to FL260 in just over thirteen minutes. 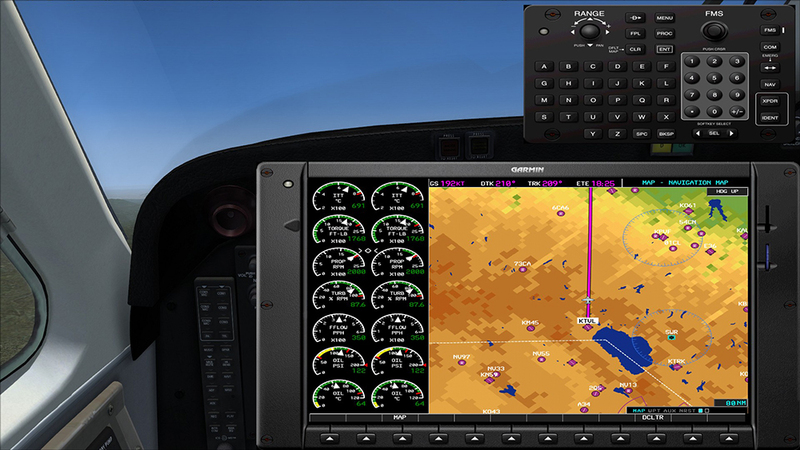 In 2009, Garmin began offering a G1000 avionics retrofit package featuring their signature 15" multi-function display and 10.4" primary flight displays for both pilot and copilot. 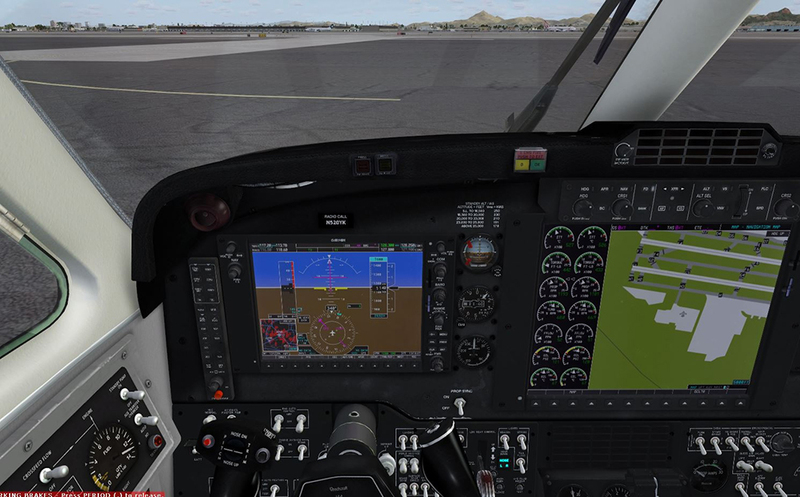 The G1000 system includes a digital, dual-channel Automatic Flight Control System (AFCS), Global Position System (GPS), Wide Area Augmentation System (WAAS), obstacle database, mapping, traffic monitoring, and SafeTaxiTM. Should you want to fly that high, a G1000-equipped Super King Air B200 is Reduced Vertical Separation Minimums (RVSM) capable. The Flight1 Beechcraft Super King Air B200 represents an overhauled 1984 B200 refurbished with the Blackhawk Modifications XP52 Upgrade, Raisbeck EPIC modifications, and the Garmin G1000 system. WAAS instrument approaches - allowing ILS-like approach accuracy for non-ILS-equipped airports within the U.S. 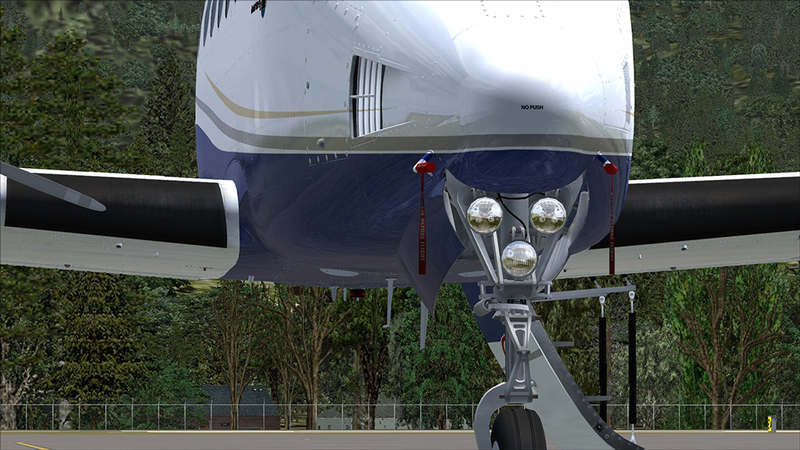 The Maintenance Module is included in order to enhance the simulation of the Beechcraft Super King Air B200. The MM makes provision for line services requests, and monitors aircraft usage at the system level, persistently tracking wear and tear on the engines, propellers, tires, brakes, and flaps. The engines consume oil while they are running, and it is possible to mismanage engine operation on the ground in a way that can damage them. Pilots may affect repairs from within the MM, and are able to enable or disable wear and damage features independently. For those who do not desire this feature, all failure and damage realism settings can be disabled. 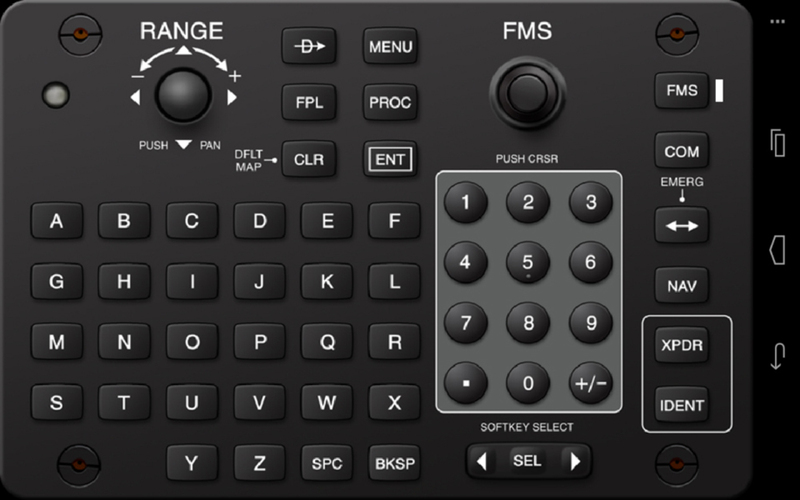 Custom-coded Android application simulates the GCU 477 MFD controller and saves screen real estate with no frame rate impact, by using your android compatible device screen. Perfect for Android tablets and larger cell phones. 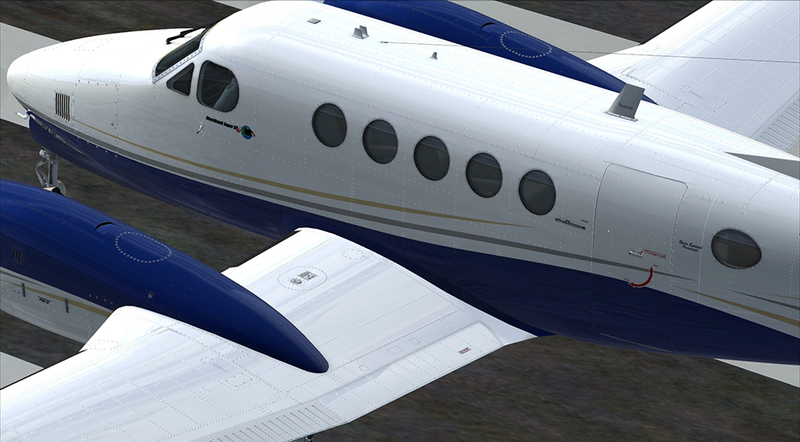 Weiterführende Links zu "Beechcraft Super King Air B200 for P3D"